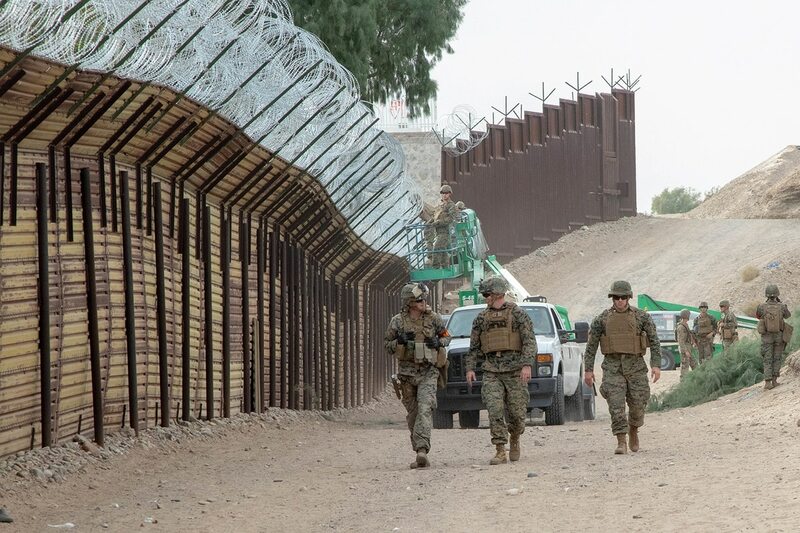 The unplanned deployments of Marines along the U.S-Mexico border, among other unplanned demands has strained the force to the point that it faces “unacceptable risk to Marine Corps combat readiness,” Commandant Gen. Robert Neller said this week. The March 18 memo, first reported by the Los Angeles Times, was addressed to Navy Secretary Richard Spencer as part of a lengthy request to seek funding relief for the Corps. Without relief, the Corps would be forced to cancel a number of key exercises in Twentynine Palms, Alaska and Scotland, Neller warned, which would further degrade readiness. About 6,000 total military personnel are deployed in support of border operations. The Marine Corps had anticipated a healthier budget year, given the two-year budget passed last year by Congress. However, Hurricanes Florence and Michael and other unanticipated costs have created “fiscal challenges without precedent,” Neller said. Typically, the Marines would reprogram money to the necessary accounts to provide temporary relief and avoid exercise cancellations. However, the funding demands on the military to shift money around to meet President Donald Trump’s request to secure the border have created a situation where “border security funding transfers” have impacted available funds for it to use to address its shortfalls, Neller wrote. In addition, Hurricanes Michael and Florence created more than a $849 million shortfall to the Marine Corps, Neller wrote. The memo comes as each service is soon to testify on Capitol Hill about its 2020 budget request and as the Pentagon reviews a new Department of Homeland Security request for more assistance along the U.S.-Mexico border. U.S. troops have been deployed there since last fall. Defense officials have identified more than 400 projects across the globe that could be delayed by President Trump's planned border wall construction.